Waste management has become a priority along the years, with major milestones paving the way for household waste separation and collection. The latest is the separation of organic waste. Most of this is food. 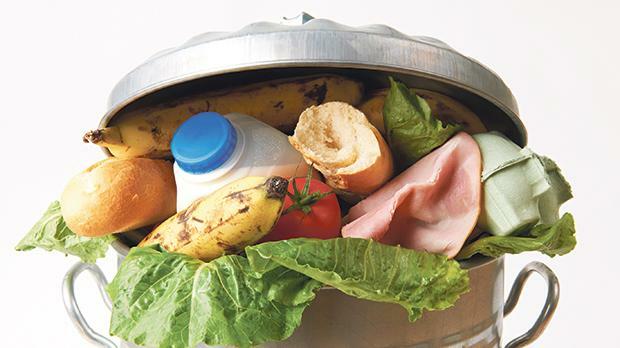 Food wastage accounts for 52.1 per cent of municipal solid waste in the Maltese Islands. In accordance with a study carried out by Daniel Vella ( https://www.um.edu.mt/library/oar/handle/123456789/22105 ) in 2016, leftovers, fresh vegetables, unused vegetables, rotting vegetables and bread are the most commonly wasted foods. The reasons for food waste were a result of too much cooking, unused leftovers and unused food in the fridge or freezer. This incurred a direct cost to the individual. The study calculated that, on average, people spent €75 per week on food, equating to €3,900/year/household. From this, food wasted per week cost €7, which equates to €364/year/household. Food waste prevention goes hand in hand with waste management and efforts to tackle this issue need to be stepped up. Food waste is also an important matter for health reasons. 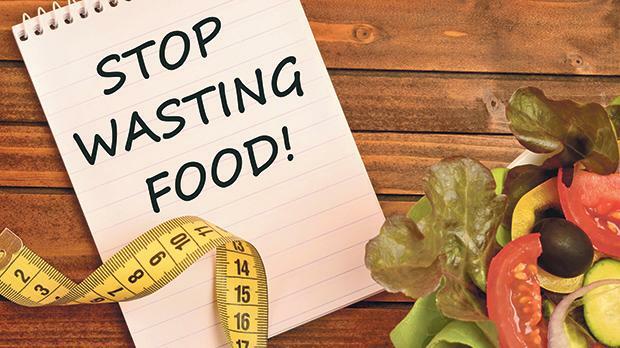 Over-consumption of food is a waste. In fact, very often, it is described as metabolic food waste. Consuming more food than the body’s nutritional requirements uses valuable food system resources and results in being overweight and obese. The study indicated wastage from expired foods. Many of these are processed packaged foods. Such foods pose a threat to our environment and also promote obesity. Most people do not realise how much food they throw away every day. However, with the separation scheme in place, people will start to realise how much food we actually waste. By managing food sustainably and reducing waste we can help businesses and individuals save money, provide support in our communities for those who do not have enough to eat and conserve food resources for future generations. Every year, around the globe, 1.3 billion tonnes of food are lost or wasted, that is one third of the food produced for human consumption. Food is lost or wasted throughout the supply chain, from initial production down to final household consumption. Internationally, the Food and Agriculture Organisation of the United Nations has partnered with UN agencies, other international organisations and worldwide stakeholders, including the private sector and civil society, to promote a ‘Save Food’ approach. This works within the international framework of the Sustainable Development Goals and the Zero Hunger Challenge. Everyone can play a part in reducing household waste and in the preparation of healthier meals. Plan the week: Make a list with weekly meals in mind so you can save money and time and eat healthier food. If you buy only what you expect to use, you will be more likely to keep it fresh, use it all and not end up eating excess food or wasting it. The amount of food bought needs to take into consideration if you plan to eat out. Include quantities on your shopping list, noting how many meals you’ll make with each item to avoid overbuying, especially for perishable items. Check your refrigerator, freezer and cupboards first to avoid buying food you already have. Best to make a list each week of what needs to be used up and plan upcoming meals around it. Storage: Fruits and vegetables are easily perishable, so it’s best to check various storage methods. Any surplus, especially when there is abundant produce, can be stored in freezer. Many fruits release natural gases as they ripen, making other nearby fruits spoil faster. Store bananas, apples and tomatoes on their own, and store fruits and vegetables in different containers. Preparation: Perishable foods need to be prepared and stored soon after shopping. With limited time during the week, it can be a good idea to wash, dry, chop, dice, slice and place your fresh food items in storage containers for snacks and easy cooking. Any leftover foods which will not be eaten can be frozen. Some foods such as bread and sliced fruit can be frozen to be eaten at a later stage. Christmas time often ends up with a kitchen full of leftovers. These can be easily put to good use. Leftovers can be mixed with minimal effort to create a meal that is good for breakfast, lunch or dinner. Leftovers can go in a sandwich, leftover pieces of turkey can be combined with beans to make a tasty and healthy stew, leftover vegetables can be combined into a salad or soup, leftover bread can make a delicious apple pudding and literally any leftovers can make a good frittata. Be creative and combine leftovers for tasty, healthy meals saving food, money and time. Given the cost of food waste and obesity to both the economy and the individual, the impact on people’s health and on our planet, reducing food waste can address the two major issues facing humanity today.